This Character counts as a Pokemon. This card, when being discarded, heals of all damage. Discard this card and the card below it. 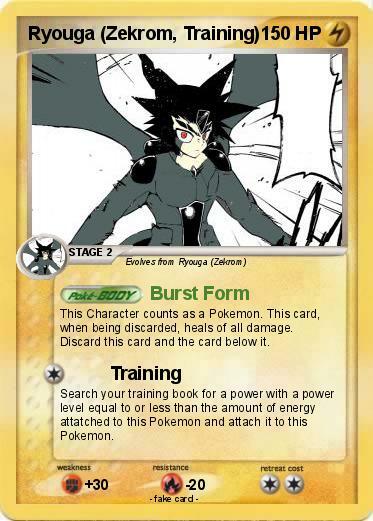 Search your training book for a power with a power level equal to or less than the amount of energy attatched to this Pokemon and attach it to this Pokemon.